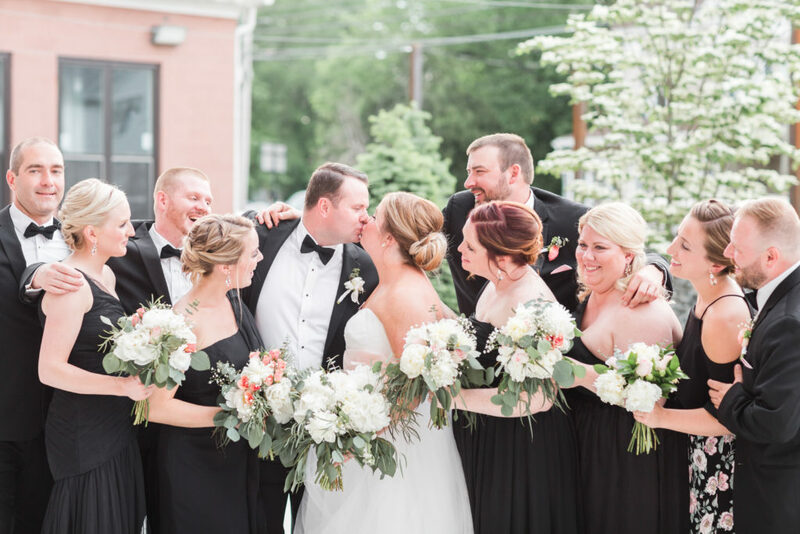 Classy, fun wedding at the Boylston Rooms! The Boylston Rooms in Easthampton is the epitome of industrial chic, and Erin and Donny’s wedding reception’s classy, classic but fun vibe fit perfectly in the space. 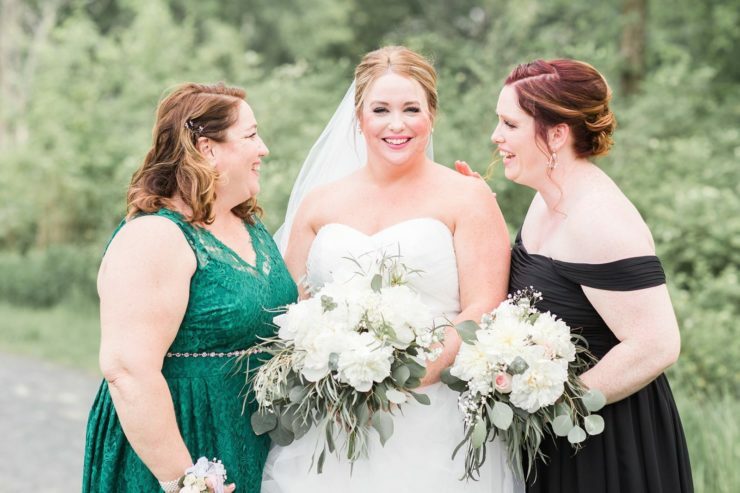 Erin’s colors were white, gold, and pink, and her instructions to me in regards to the florals were to make them lush and a little bit messy. I was very happy to oblige! I can try for controlled, but messy is really my thing! Location: The Boylston Rooms, Easthampton, Massachusetts. Late May. 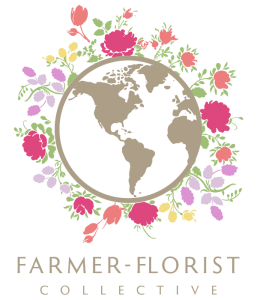 A note for local flower lovers: late May here in western Massachusetts isn’t the best time for a wide selection of flowers grown by me and me alone, but I was able to get the peonies direct from King’s Country Gardens in western Kentucky, and the eucalyptus from Regional Farms in California. Add in some sweet spray roses and baby’s breath and voila! 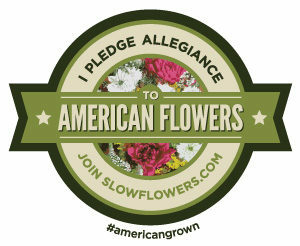 Lush and messy, 90% American-grown florals! 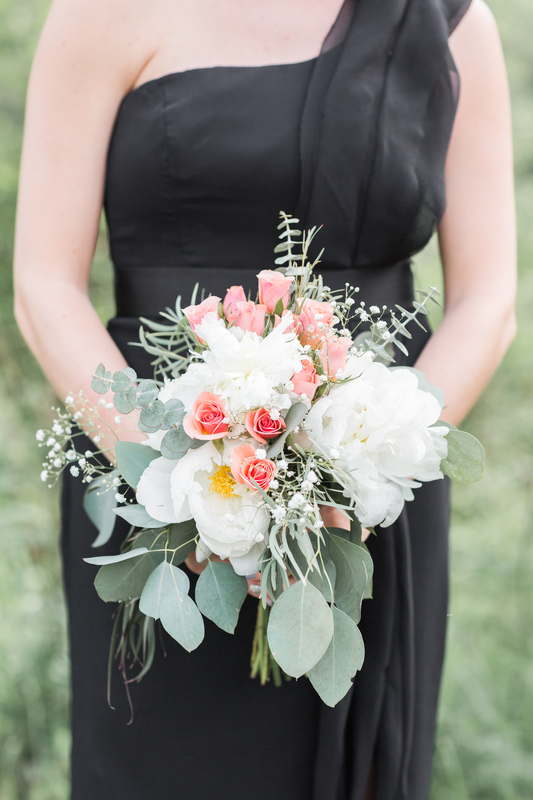 Lush and “messy” peony wedding bouquets – almost entirely American grown! 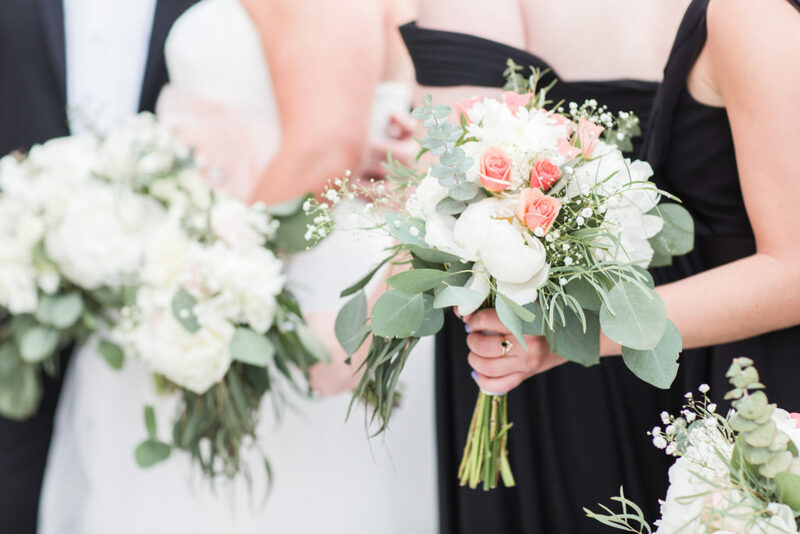 Bridesmaid bouquets featured a small pop of pink to compliment the bride’s all white bouquet. 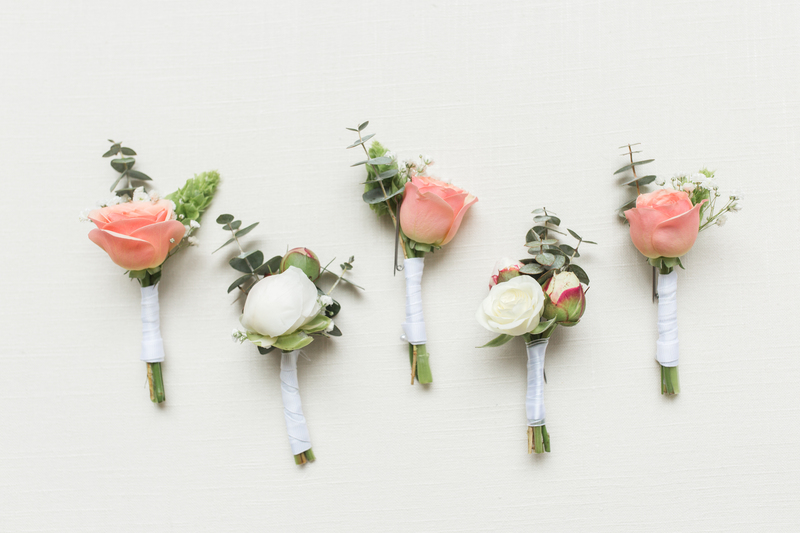 Super cute boutonnieres! I always make each bout. a little bit different. Tables at the Boylston Rooms. 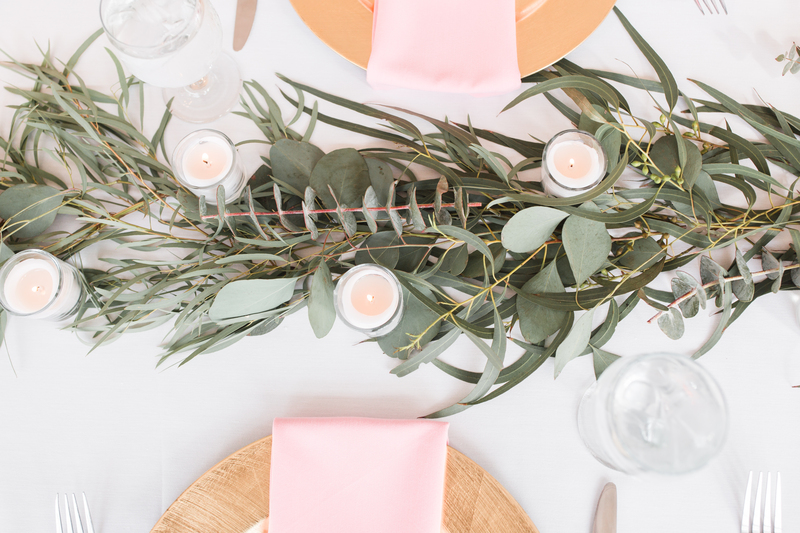 We laid eucalyptus down the center of the table with sweet little votives. 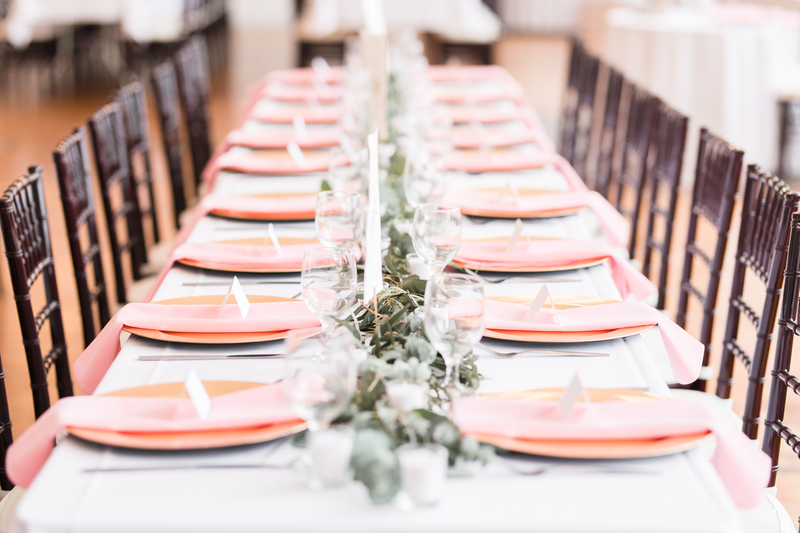 Because the tables are narrow, this provided a nice amount of foliage without overwhelming the table settings. It was just the right amount of greenery.